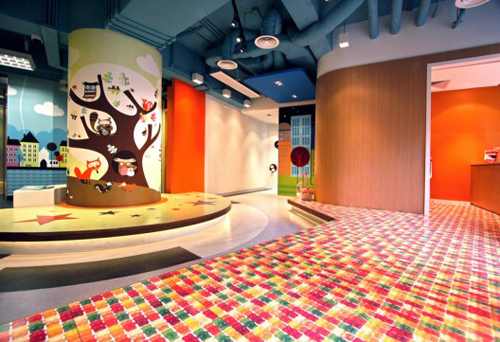 The Starlit Learning Centre in Hong Kong has been designed to and been acknowledged as providing kids with 'the best environment for learning'. Designed by The XSS, the centre's design has been awarded an Asia Property Award under The Best Public Services Interior category. 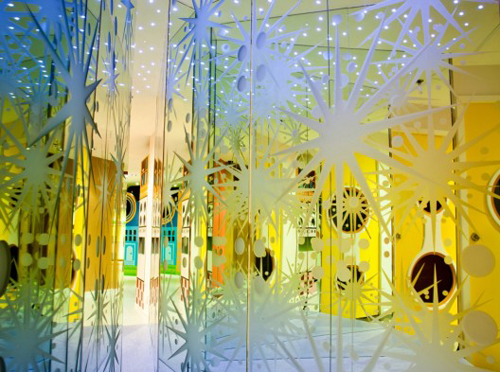 Designed as a relaxing learning environment for children 2-6 years old to call their own. The central focus or meeting point of the centre - the elevated stage provides the children with a performance area. The spatial design is based on 'Ancient Rome' city planning - with famous landmarks linked by round plazas and other circular objects along an axial arrangement. 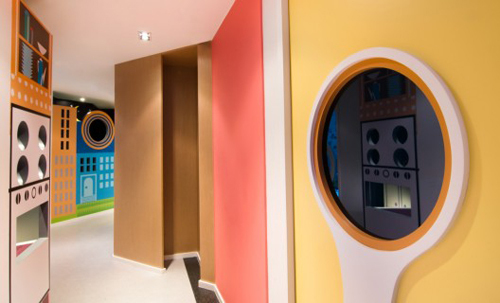 The interior spaces have been designed with the 'adventurous' child in mind - allowing for exploration and elements of surprise, with many secret spaces and blind spots designed to the scale of the child. 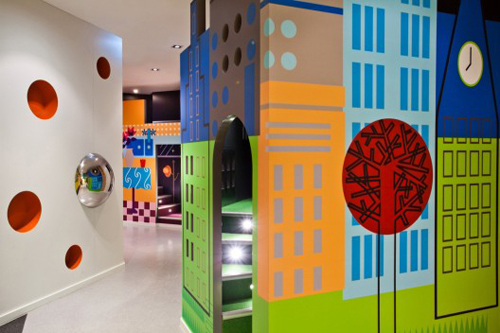 Taking inspiration from the 'garden' and the 'city' - the design utilises a imagery from skyscrapers and trees, whilst colour is used to set various 'moods'. 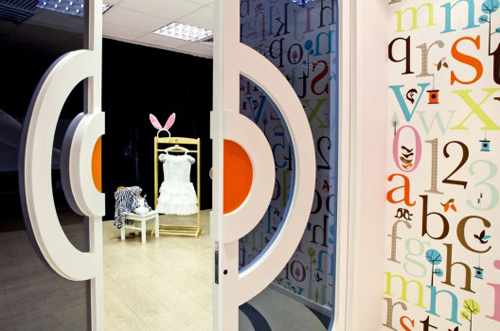 The use of round shapes is intended to give the children feelings of safety and security. Via ArchDaily and Starlit Learning Centre.